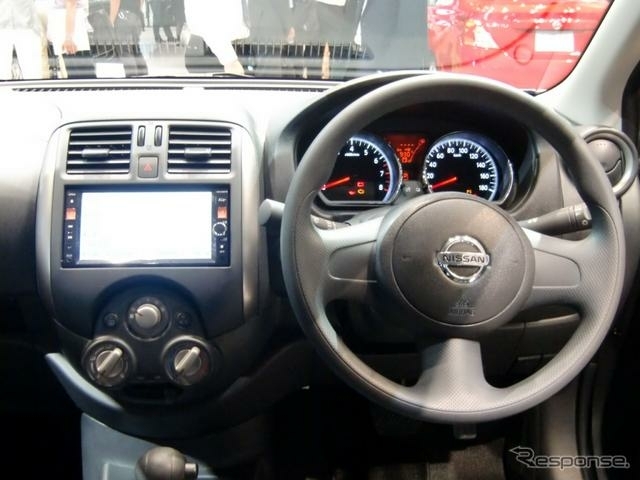 Review Nissan Latio 2013 - Latio has a 3-cylinder engine, 1.2-liter, 79 PS power with CVT transmission which is also owned by the March and Note. 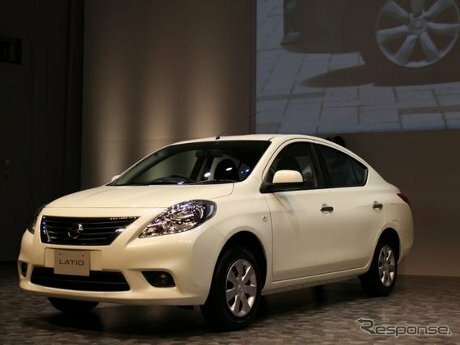 Latio has a consumption of 22.6 km per liter of fuel in the Japanese test methods (JC08). Unfortunately Latio has no supercharger version as possessed Note. Although no differences in characteristics between the interior and exterior design, interior comfort chair deserves a thumbs up. Let's just say the rider has a height of 172 cm. Remaining space for the knees about 25 cm. 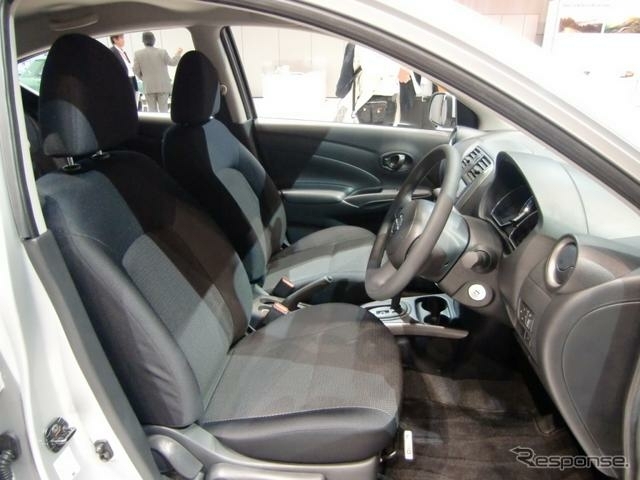 Compare it with the Corolla Axio who only have free space 19.5 cm. Besides the trunk is quite roomy, the trunk can accommodate four sets of golf bags measuring 9 inches. 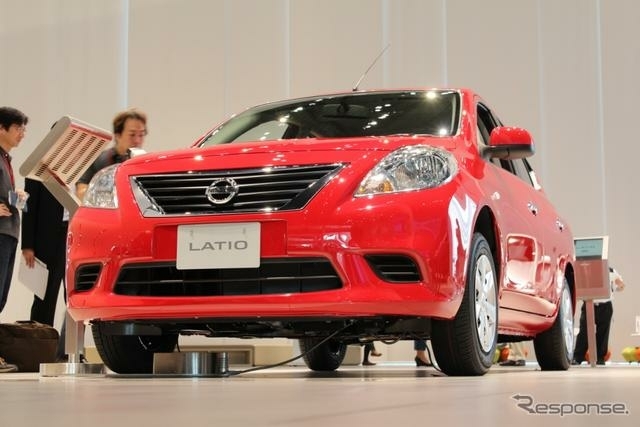 So Nissan Latio package offered was incredible, though the rear seats can not be folded to get a wider trunk. 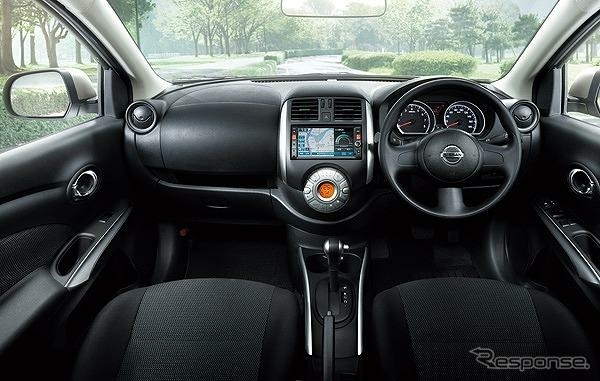 When the vehicle started moving, thanks to power steering, steering is light and easy to control. Handling in corners is also amazing. 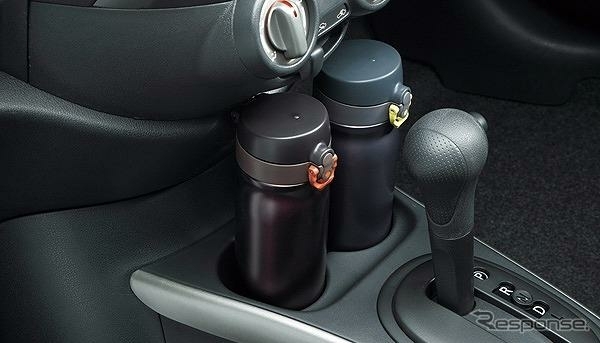 Even when driving on winding roads, Latio provide unexpected resistance, so you do not have to worry about driving this car. The engine is quite responsive although small and not noisy. At a speed of 80 km per hour, the engine just spins in But often times when a car drove up the street potholes, no disturbing sound.